Ask any lawyer who has been involved in a translation project, and you will hear just how critical it is to get results that are as close to perfect as possible. 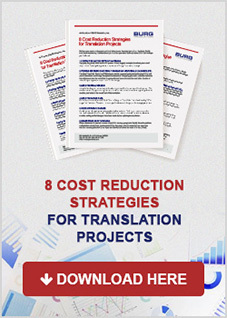 One bad translation could cost your law firm clients, cases, and more. If you’ve considered translating anything for your legal practice, here are ten tips to ensure your project goes off without a hitch. 1. Define the process before it starts. Before the first word gets translated, define how the process will go from start to finish. This includes how to communicate your needs, how deliverables will reach you, and what your level of involvement should be. Having a clear vision of this up front ensures everyone involved is on the same page. 2. Clearly identify the project goals. To help your translator deliver the best results, he needs to have a clear idea of who he is translating for, and the reason for the translation. Are you moving to a new market? Are you pulling together information and evidence for a trial? Let your translation partner know before he begins. 3. Maintain a consistent workflow across all languages. Translation projects can be complex. No matter what you’re translating or why, having a consistent workflow is important to minimize confusion and workload. When all parties create a system to work together, the entire project runs seamlessly. 4. Take a look on social media for ideas. Social media might not seem like the spot for translation project help, but you might be surprised. By following one of these hashtags, you’ll find guidance on how to best execute your translation project. You might also take a look at what other law firms tweet about, giving you a better idea of what will resonate with your new target market. 5. Work with a company that specializes in legal translation. Between working with a translation company that specializes in legal translations and one that does not, you benefit working with the one that has the specialization – even when using machine translation. For you to receive better, more accurate results, you need to work with a language service provider that specializes in translating legal documents, and who has a solid understanding and history of working in your industry. 6. Understand the various types of translations. There are many options for translations available, including summaries of text, machine translations, and more. Work with your translation provider to determine the right type of work for your needs. This ensures you get the best results in the least amount of time, at the best price. 7. Keep localization in mind. Whether you’re creating a landing page to bring in clients from a new market or putting together an informational video about a new law, localization matter. Your translation project goes beyond the words on the page. Colors, layout, graphics, and more send different signals to different cultures. Pay attention to these to strengthen your message. 8. Provide detailed references for your translator. No matter how specialized a translator is in the legal field, reference material contributes to context or even corporate culture. This reduces the chance of inconsistent terminology and tone between files. Provide as much detail as possible. With your help, your translation partner can do their best work. 9. Proofread before you publish. If you proofread your English text, and you should do the same for your translated text. If you have a native speaker read the translation before the final version, have them communicate with the translation company as early as you can in the process to ensure everyone is in agreement regard word choice and style. This way, you will avoid stylistic issues. If you’re using a professional legal translation company, they will make sure that is done for you. 10. Anticipate any future edits or modifications. As your practice evolves, you may need to make tweaks and updates to the translated text. This is normal. Make sure you keep all resources and copies of translation work from previous projects easily accessible. 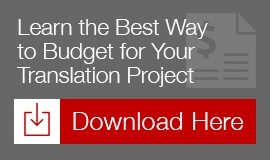 This will help your translator complete any future projects just as successfully as the first. You can relax if you keep using the same translation company and if they’re using translation memory. Your translation project is too important to leave to a machine or inexperienced translator. With these tips, you can do your part to ensure the final result is a success. I agree that it is important to proofread anything that you publish, especially if your work has been translated into another language. It could be frustrating to be unable to completely convey the message you are trying to send because of errors in translation. It could be a good idea to implement a policy that requires translated documents to be proofread multiple times so that crucial errors can be caught and corrected before confusion erupts. Hi Joy! Agreed! Thanks for the comment!